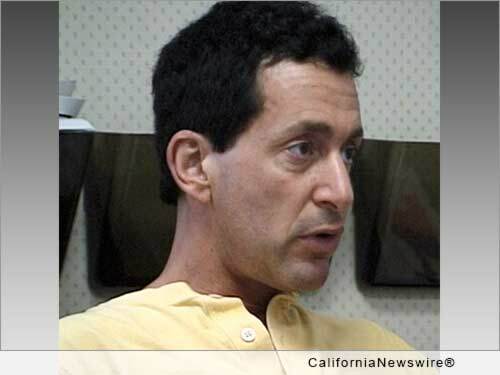 HOLLYWOOD, Calif. /California Newswire/ — Actor Steve Comisar has appeared in numerous films, TV shows, and commercials. He is also a felon completing the last year of a 15-year federal prison sentence for fraud. The unique combination of felon and actor is apparently very appealing to the public. Just ask Comisar's half a million Twitter followers or the over one million fans that have viewed his YouTube videos. Retired ICM talent agent, Barry Freed, said, "The public loves the Steve Comisar story. If his social media popularity is a barometer of his future success, he's going to book a lot of major acting jobs. When Wesley Snipes got out of prison last year, he quickly landed an NBC series. Everyone loves a good comeback." While in prison, Comisar has not been shy in personally contacting some very famous people and asking them for a little career assistance upon release. This has been covered by the national news media in various articles. Comisar said, "I've recently asked some A-list actors, directors, and producers to help me by giving me roles in their movies after I'm released next year. It's still too soon to tell what's going to happen but I'm going to think positive." Comisar's publicist, Laura Levine, says, "Steve has a lot more social media fans than some of the much bigger stars I represent. If this is any indication of how he is going to do as an actor after he is released, Steve will be a force to be reckoned with in Hollywood. All he needs is a little help getting started." Comisar's manager, Victor Kruglov, said, "If any powerful actor or director says that Steve can be in their movie, Steve will be in their movie. That's all Steve needs to nail this. I think a lot of stars are going to step-up and help him." Comisar's attorney, Jeremy Gordon, adds, "A very famous actor recently told me, 'I put my actor friends in my films all the time. I could easily do the same for Steve. I'm always trying to help the underdog.'" Comisar, 53, grew up in Beverly Hills, California, with the original "Brat Pack" and has been acting since a very young age. He will be released from prison next year and will return to Beverly Hills to reunite with his family and friends.